As you probably know, my father died last year. During the three months of his illness, and for about six months after his death, I stayed at home with my mother at night, coming to the monastery during the day. 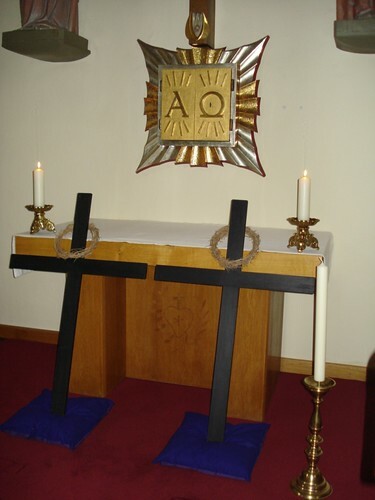 I will always be grateful to the Passionist Community here at Saint Mungo’s for the support my mother and I received during that time . Some months ago, after a spell in hospital caused by a fall, my mother moved to Saint Joseph’s Home, which is run by the Little Sisters of the Poor. That move has now become permanent and yesterday, after a lot of hard work by my brother and sister-in-law, I turned the key in the door of our parents’ home for the last time. Our family had moved there in 1962, so there were lots of memories (as well as lots of things to be moved). However, I am happy that my mother is safe and well cared for by the Sisters and their team. 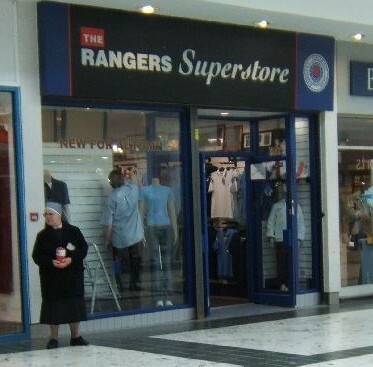 The Little Sisters of the Poor still collect in the streets and in shopping centres to support their work and, as you can see from this picture which someone sent me yesterday, they are quite extraordinary in their apostolic zeal. I don’t know who took the original picture, so my apologies for no photo credit. with Father Paul Francis C.P. 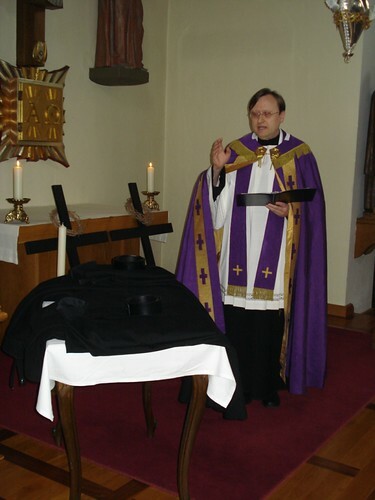 The Bavarian-Austrian Vice-Province of the Five wounds reports last Sunday’s clothing (or vestition) of two novices, Confrater Markus of the Suffering Jesus in Gethsemane and Confrater Johannes of the Immaculate. 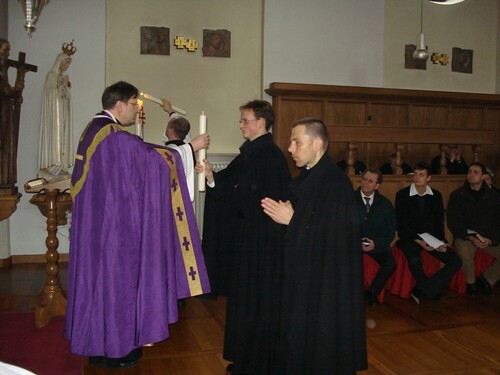 They received the habit on Laetare Sunday, 2 March. Here are the crosses and crowns of thorns prepared for the vestition ceremony. 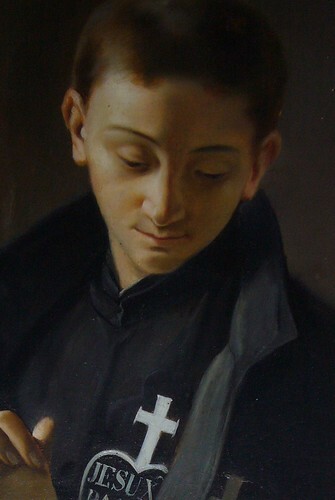 Receive, dearest brother, the cross of our Lord Jesus Christ; deny yourself, that you may share eternal life with him. Remember continually that you are clothed in memory of the Passion and Death of Christ the Lord. Receive, dearest brother, the crown of thorns of Christ the Lord; humble yourself under the mighty hand of God, and be subject to every creature for the sake of God. 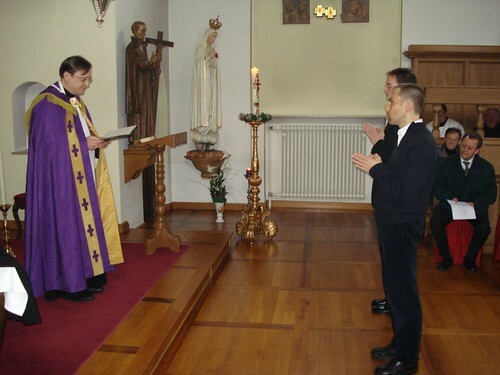 When this ceremony is finished and the sign of peace has been given, the superior together with the brothers shall show their joy to the new brother and encourage him to carry his own cross with our most gentle Jesus. 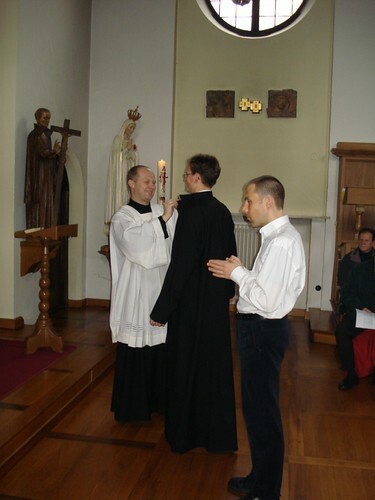 Congratulations to our new novices, Markus and Johannes!